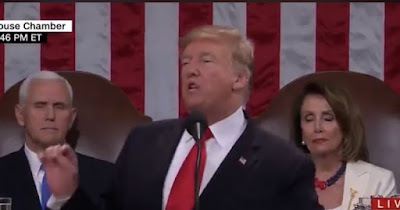 According to a CBS poll, President Trump’s SOTU speech had a 76% overall approval rating and 91% of people favored the policies set forth. 72% supported his illegal immigration stance ! The Dems are in shock !